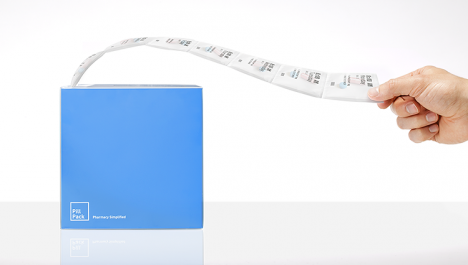 Remembering to take your medicine can be hard if you have lots of pills to pop on a daily basis, but this one-stop, custom-printed packaging solution promises to help you get and stay on schedule once and for all. 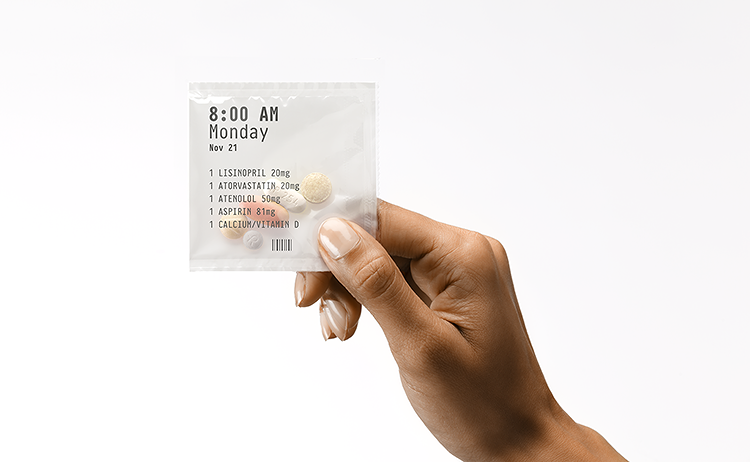 Another ingenious example of mass-customization, the PillPack system provides a rolled-up and ready-to-go answer to an everyday problem that many people face. Each box is tailored to the individual schedule and dosage of a particular person. Aside from solving issues like reminders and refills, this chronologically-arranged roll design addresses an issue inherent in pill bottles themselves: the difficulty of seeing how many you have left and thus determining whether you have taken (or forgotten) today’s dose. Extending its goal of pill-taking simplicity, PillPack also offers vitamin pills and supplements alongside prescription meds. The system itself is not a new idea – retirement homes and other long-term-care facilities have been using similar patient-specific rolls to dispense drugs for some time. 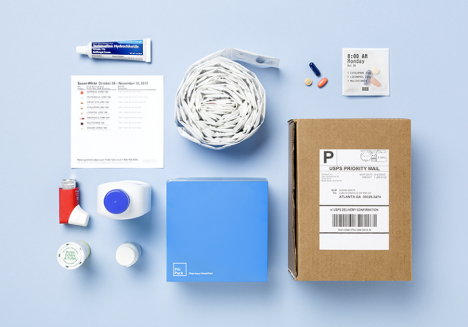 PillPack, however, brings that functionality to the masses, adding useful designer touches for customers and delivering it all right to the door of their own home. The packs are semi-transparent so the consumer can see what they are taking before opening them. They are also stamped directly with dosing information and a list of the medications contained within. Each pack tears off easily from the roll, but retains its individually-stamped date – a useful featured in case you pull it off and set it down next to your nightstand to remember the next morning. 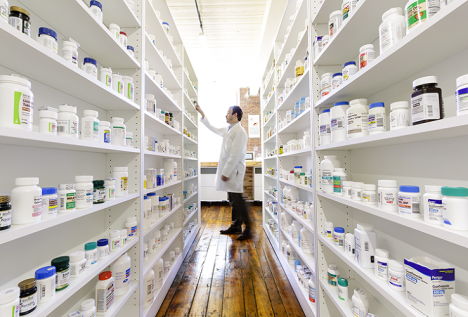 The additional possibility are myriad – presumably having all of your vitamin, supplement and prescription pills in the same system could help people (and doctors) analyze interactions and avoid dangerous combinations as well.